Posted July 9th, 2013 in Uncategorized, Website News. Tagged: evening dress, hire a gown, lace, nicole miller, rent a gown, rental, we love. 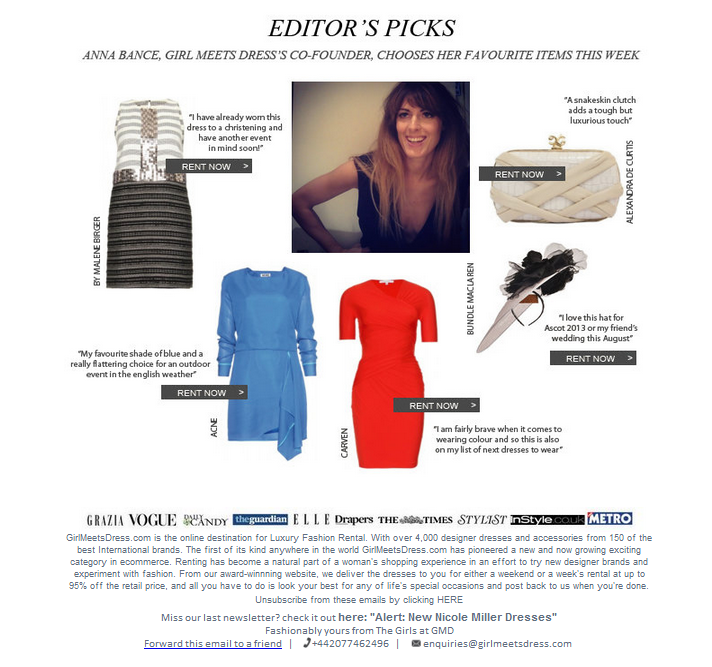 Diva Sophia dresses exclusively to hire at Girl Meets Dress! Find Girl Meets Dress on Youtube! Fredabanana sunglasses to buy for ski season! Girl Meets Dress introduces e-Vouchers for Christmas! Launching the GMD Party Box! Meet Wish Lists. You’ll love this. MELI MELO – New to Girl Meets Dress! New Feature: Search by Date and Add to Your Calendar! New HERVE LEGER dresses in stock! SHANA LONDON – New to Girl Meets Dress! We're on the hunt for the face of GMD TV! Wish Want Wear customers - help is here! Wish Want Wear customers will go to the Christmas ball!